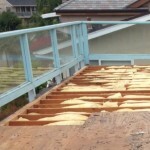 The condition of decks can be deceptive during drought. First, little to no water contact on your deck can bring a false sense of security. What is going on underneath is most important. Dry rot or pooling water might have already penetrated the foundation. Secondly, after drought usually comes the flood. Damaged decks will be big trouble when the rains come. Even a proper deck coating needs to be ready for extreme wet weather. Repairing Decks and Drought. Prestige Deck Coating offers a variety of deck repair options. We can fix small dry rot sections. We remove and install full plywood re-sheeting. If mold, mildew or pervasive water damage has reached the joists, we can rebuild from the bottom up. 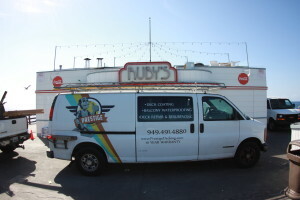 We can even remove, repair or install deck drains and metal flashing. If necessary, we can repair railing posts. All of these services are crucial for being prepared for flooding after a drought. 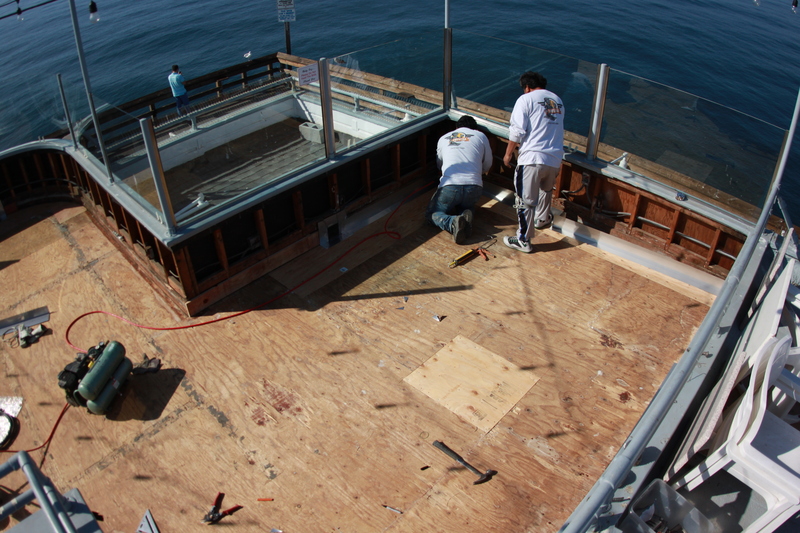 “Then the rains came…” If decks are damaged, rainstorms will instantly expose the problems. It will likely make the damage worse than if you fixed it during the drought. 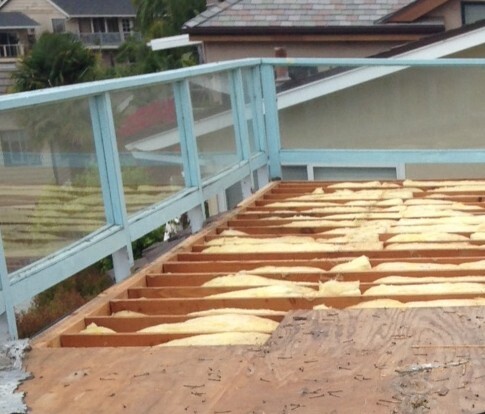 Imagine constant liquid on a deck that has soft spots, dry rot or foundational damage. You might then need a whole deck, not just a repair. A few hundred dollar fix has now become many thousands. No bueno. “…but they built upon the rock” If you have proper deck waterproofing or no damage, you till need to be ready for the flood. Prestige Decking can help here too! We know decks, so we can recommend custom water diversion techniques. We want our current customers and potential clients to feel AND be safe when the drought goes and the waters explode. 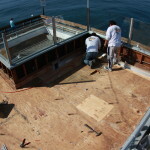 Prestige Deck Coating knows the 411 on decks and drought. Knowing who to call for repairing decks, beating the flood to your decking, and having peace of mind that your pocketbook is secure. We offer free onsite estimates, 10 year warranties, and our supervisors have 30-40 years experience in the industry. We know decks and drought. ← Get a cool pool deck for the summer heat!